Our Simien Mountains tours are certain to captivate your heart. The home of ancient civilization, Ethiopia is located in east Africa. Known as the cradle of human civilization, it is the only uncolonized nation in Africa. The Simien Mountains National Park (known as the roof of Africa) is staggeringly beautiful with its natural formations. It is the home of various animals, including the endemic Gelada baboon, Ethiopian wolf, Walia ibex and Menilik’s bush buck. 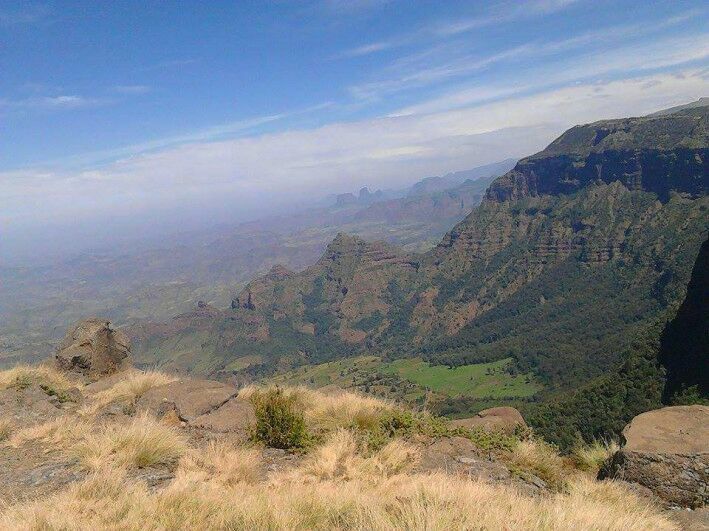 The Simien Mountains are the best place for trekking, birding, mountain biking, rock climbing, base jumping, and more. Tourists love that they can trek for 10 days and experience panoramic views like Imetgogo and Ras Dejen while enjoying endemic plants and animals like Gelada baboons. Check out our itinerary to get a sense of what we offer on our Simien Mountains Tours. Copyright © 2019 Panoramic Simiens. All rights reserved. Web design by Emberly Digital.